Solomon’s Song of Songs fascinates us with its emotional intensity and ambiguity. Everything is centred around a pair of lovers who search for, lose and find each other, and who delight in mutual compliments. The realistic scenarios are permeated with concepts that are puzzling or symbol-laden. “I am black” is one such conundrum; symbolic notions are, for example, the lily, the enclosed garden and, not least, the pomegranate, which appears a number of times in the Song of Songs. The beauty of the texts and their multiplicity of meanings were the reasons for countless musical settings. 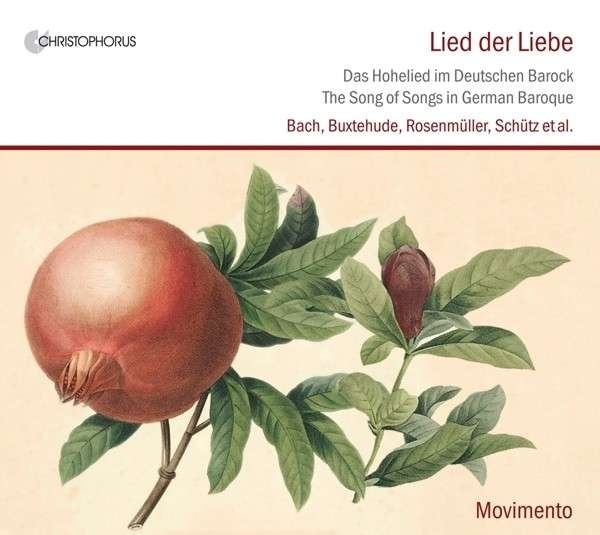 The selection of this CD presents settings of German composers of the 17th and 18th centuries like Johann Sebastian and Johann Christoph Bach, Andreas Hammerschmidt, Dieterich Buxtehude, Johann Rosenmüller, Heinrich Schütz, Christian Geist and Samuel Scheidt.